Download this unique set of graphics for your designs. 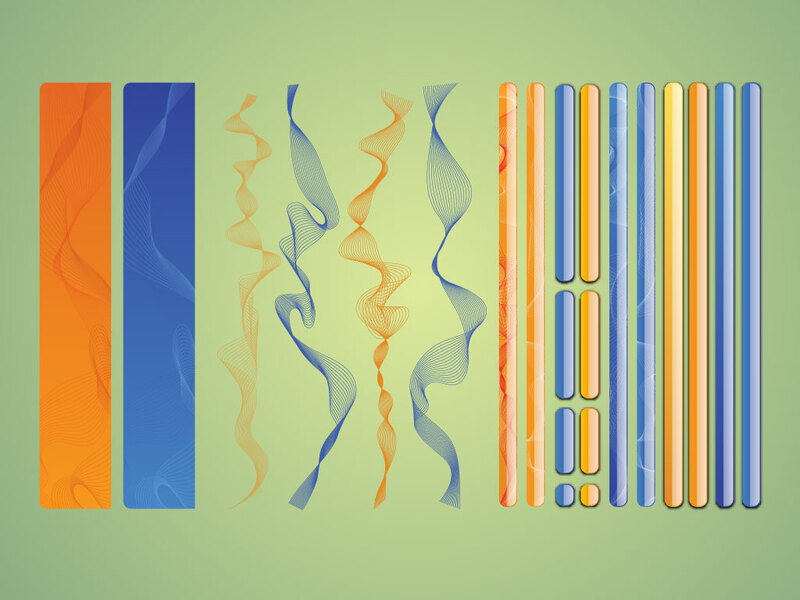 These cool vectors are great banners and app or website navigation or they could also be very original art brushes. Tags: Aqua, Banner, Brush, Glossy, Tech, Web 2.0, Wire Frame.